Items on this site are copyright � 1998-2015 The DXZone. The information presented here may not under any circumstances be resold or redistributed for compensation of any kind without prior written permission from The DXZone. The editors and producers of The DXZone claim no responsibility for the accuracy, content, or availability of information accessed or linked to through use of its service. In addition, users of The DXZone are encouraged to determine what restrictions the authors and providers of linked-to Web sites have placed upon use of the information contained in those Web sites, and to abide by all restrictions placed on that information by the information authors and providers. DXZone discourage any behaviour that may infringe local laws and rules. DXZone encourage to verify with local authorities current status of laws and respect in any terms. If you have any questions about these terms, or if you would like information about licensing materials from The DXZone, please contact us. DXZone encourages you to exercise discretion while browsing the Internet using this service. DXZone may produce automated search results or otherwise link you to sites containing information that some people may find inappropriate or offensive. DXZone makes no representations concerning any effort to review the content of sites listed in our catalog (indeed, given the frequency with which it is updated, such review would be practically impossible). Consequently, DXZone is not and cannot be held responsible for the accuracy, copyright compliance, legality or decency of material contained in sites listed in our search results or otherwise linked to the DXZone site. 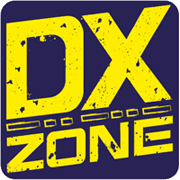 By providing links to other sites, DXZone does not guarantee, approve or endorse the information or products available at these sites, nor does a link indicate any association with or endorsement by the linked site to DXZone. THE MATERIALS IN THIS SITE ARE PROVIDED "AS IS" AND WITHOUT WARRANTIES OF ANY KIND EITHER EXPRESS OR IMPLIED. TO THE FULLEST EXTENT PERMISSIBLE PURSUANT TO APPLICABLE LAW, DXZONE CLAIMS ALL WARRANTIES, EXPRESS OR IMPLIED, INCLUDING, BUT NOT LIMITED TO, IMPLIED WARRANTIES OF MERCHANTABILITY AND FITNESS FOR A PARTICULAR PURPOSE. DXZONE DOES NOT WARRANT THAT THE FUNCTIONS CONTAINED IN THE MATERIALS WILL BE UNINTERRUPTED OR ERROR-FREE, THAT DEFECTS WILL BE CORRECTED, OR THAT THIS SITE OR THE SERVER THAT MAKES SUCH MATERIALS AVAILABLE ARE FREE OF VIRUSES OR OTHER HARMFUL COMPONENTS. DXZONE DOES NOT WARRANT OR MAKE ANY REPRESENTATIONS REGARDING THE USE OR THE RESULTS OF THE USE OF THE MATERIALS IN THIS SITE IN TERMS OF THEIR CORRECTNESS, ACCURACY, RELIABILITY, OR OTHERWISE. YOU (AND NOT DXZONE) ASSUME THE ENTIRE COST OF ALL NECESSARY SERVICING, REPAIR, OR CORRECTION. APPLICABLE LAW MAY NOT ALLOW THE EXCLUSION OF IMPLIED WARRANTIES, SO THE ABOVE EXCLUSION MAY NOT APPLY TO YOU. The DXZone recognize that privacy is important. - DXZone may present links in a format that enable to keep track of whether these links have been followed. DXZone use this information to improve the quality of its content by understanding what amateur radio comunity prefer. DXZone process those information only to provide service to users, conduct auditing, ensure technical functioning of its system, and to develop new services. - Third parties, like google adsense, may be placing and reading cookies on your browser, or using web beacons to collect information, in the course of ads being served on this website. To prevent cookies being placed on your computer please disable them in your browser's options. Consult your web browser's documentation for more information. DXZone do not share personal information with any external company or individual. DXZone take appropriate security measures to protect against unauthorized access to or unauthorized alteration. These cookies enable services you have specifically asked for. For those types of cookies that are strictly necessary, no consent is required. By using the dxzone.com, you agree that we can place these types of cookies on your device. These cookies are essential for the site to function. They are used for features that allow navigate the site effectively. These cookies are not available to third party sites and are not used to track behaviour to place personalised adverts or any other content. These cookies remember choices you make to improve your experience. These cookies allow the Website to remember choices you make (such as your user name, or University) and provide enhanced, more personal features. These cookies can also be used to remember changes you have made to text size, fonts and other parts of web pages that you can customise. They may also be used to provide services you have asked for such as watching a video or commenting on a blog. You can control or delete these cookies in your browser settings. These cookies collect anonymous information on the pages visited. These cookies collect information about how visitors use the Website, for instance which pages visitors go to most often, and if they get error messages from web pages. These cookies don't collect information that identifies a visitor. All information these cookies collect is aggregated and therefore anonymous. It is only used to improve how the Website works. You can control these cookies in your browser settings.